…And so September starts, and is equally full of events as August. 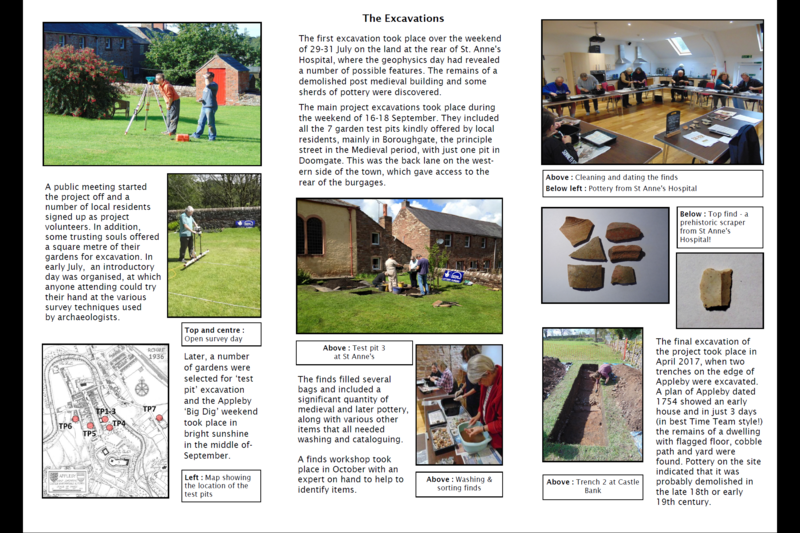 Our alphabet of archaeology continues as well – today we have the news for the letters P and Q, R and S. This week also sees the start of events for September with events in the north of our region at Berwick and Crookham of the Border Archaeological Society and Till Valley Archaeological Society this week. 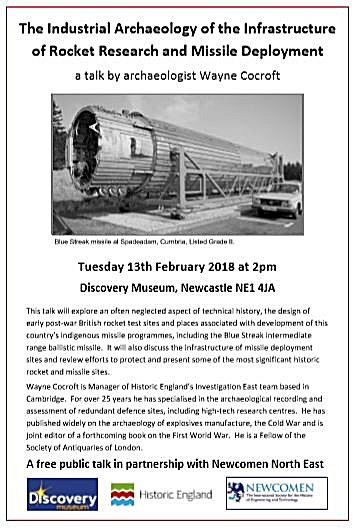 As ever the regular events continue to be listed on our website (we are increasingly getting information for 2018 events), though we have a poster for one of these below. These snippets of news and events include a pair outside our region as well, but we hope they may be of interest nonetheless and worth a day trip during what is left of the summer. 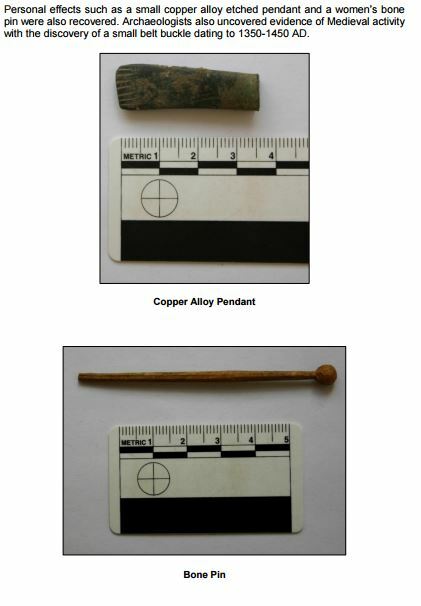 As CBA North Members who attended our AGM in May will recall from the following talk there are many finds being found, often through metal-detecting, by members of the public. 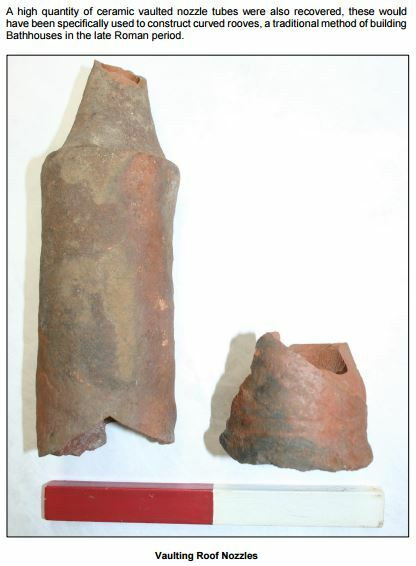 Our speaker Andrew Agate, one of the Finds Liaison Officers that cover our region, gave an introduction to the Portable Antiquities Scheme which this year marks of the commencement of the Treasure Act 1996 in England, Wales and Northern Ireland. 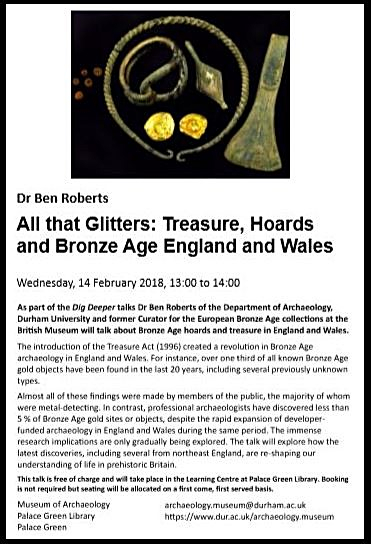 In this time over 11,000 Treasure finds have been reported under the Act, presenting local museums with an opportunity to acquire important objects from all periods of British history. 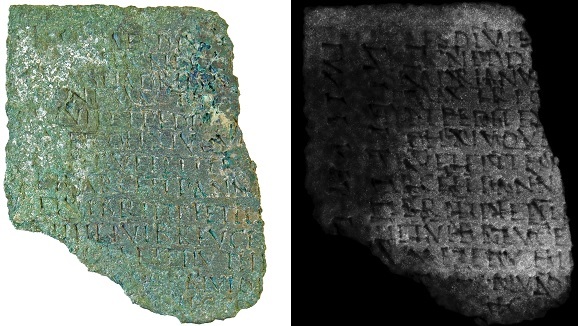 Treasure objects not acquired by museums have a permanent record on the Portable Antiquities Scheme online database. 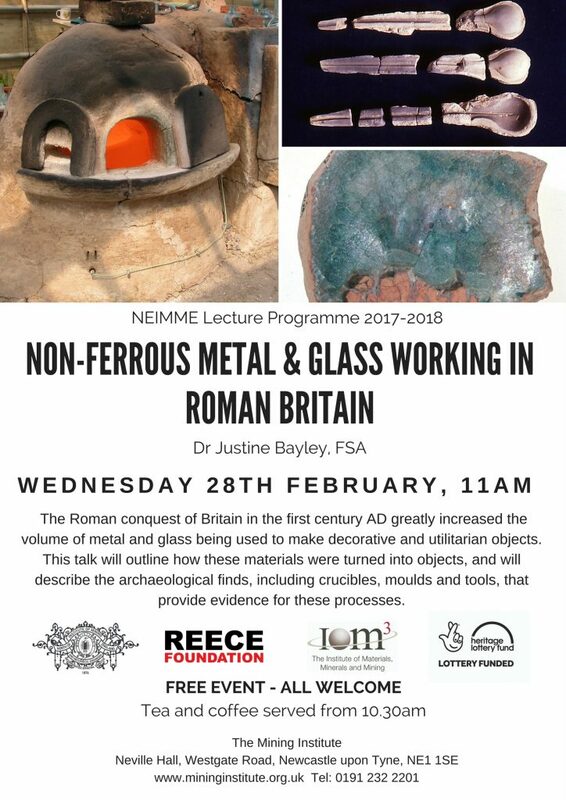 This conference will consider Treasure now, and look at what has been learnt in the past 20 years. There will be particular focus on discovery, acquisition and interpretation with relevant case-studies. The conference will also look forward, considering the potential of Treasure in the years to come. 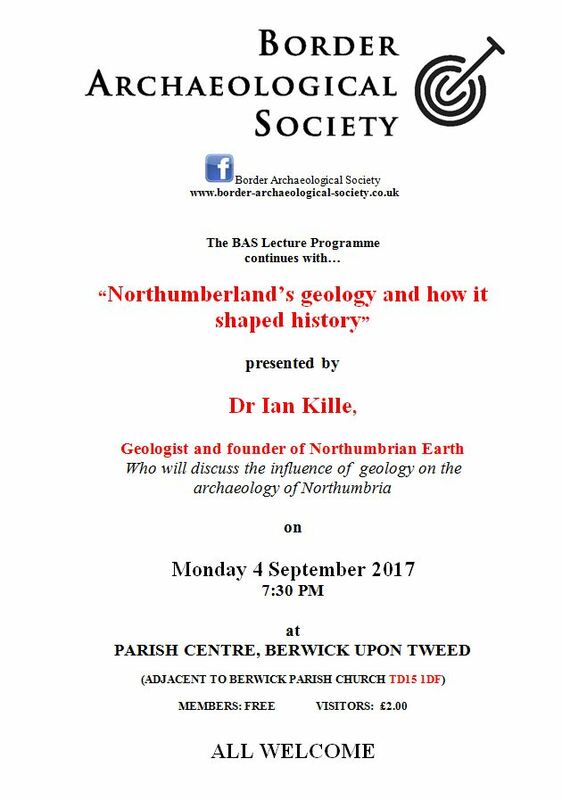 Further details of this free conference which is to be held on Wednesday, 11 October 2017, at the Yorkshire Museum, York, can be found online here. 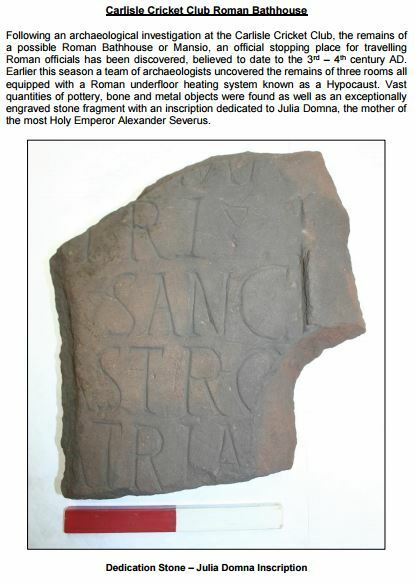 We have previously noted a number of events in connection with the Battle of Dunbar, also East Lothian, following the excavation and identification of soldiers from that battle at Durham. 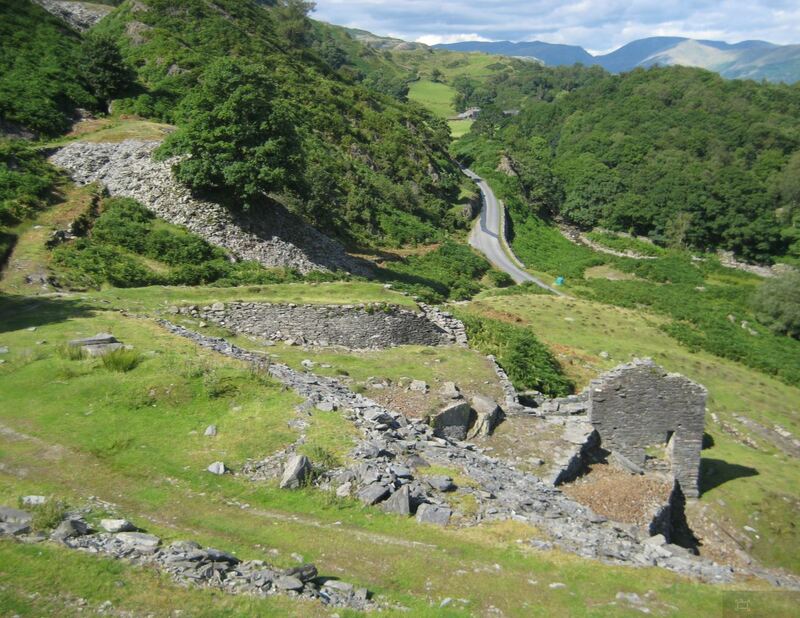 As CBA North Members and Followers will know – particularly in the northern parts – there were many other battles, skirmishes and general affray on both sides of the Anglo-Scottish Border. Our letter Q comes from the word Queen – this exhibition deals with the Rough Wooing when the hand of Mary, Queen of Scots, was sought for Edward VI. The 16th century determination of the Scots to remain independent, and increased alliances with France, led to the redevelopment of fortifications at Berwick upon Tweed and Carlisle. 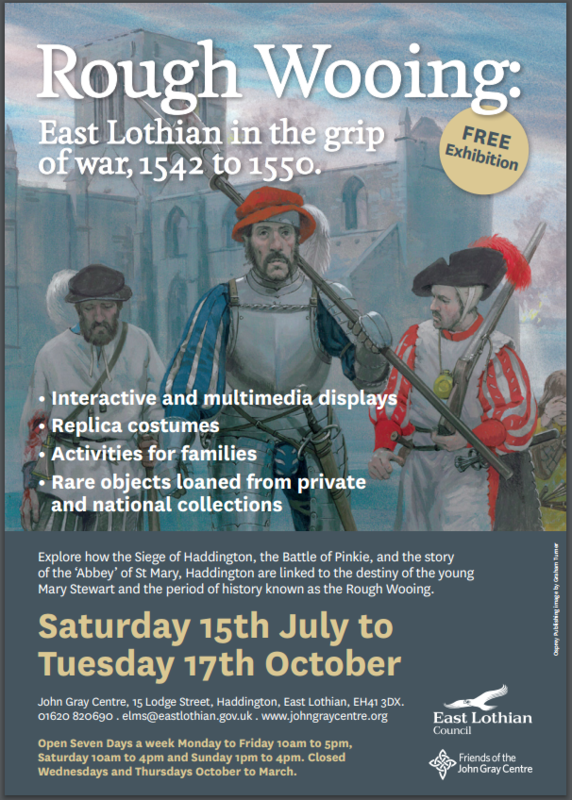 Details of an associated re-enactment of the Battle of Pinkie, in a little under a fortnight’s time, can be found online here. 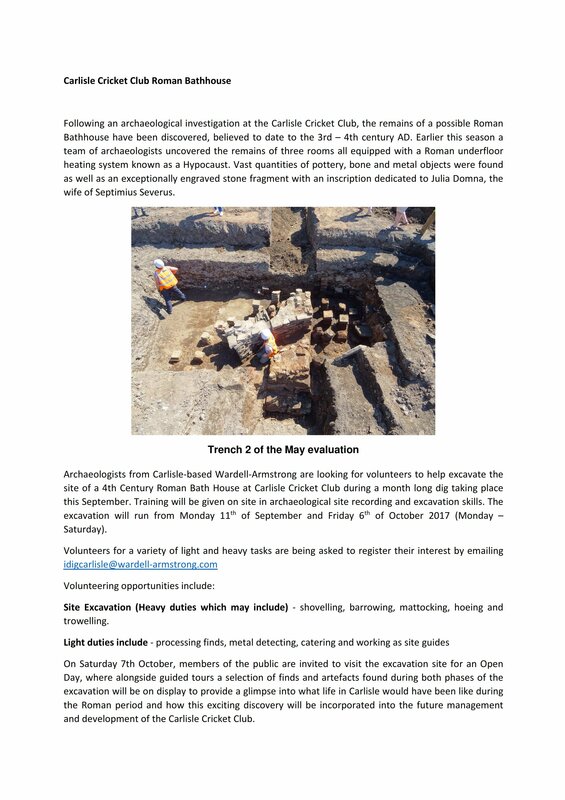 Frank Giecco and Fiona Lister of Wardell Armstrong Archaeology have sent us these exciting news of the latest investigations of a Roman bathhouse. 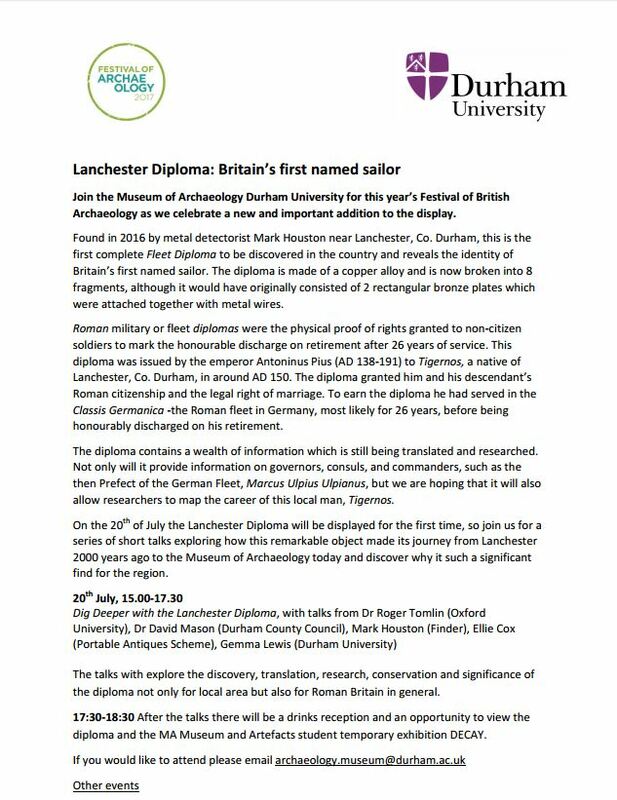 In this case this is located at Carlisle in the northwest of our region and at times the very northwest of the Roman Empire. CBA North Members and Followers who might be interested in learning more are invited to volunteer. Please follow the details of the poster below which gives you details of what this might entail for you. 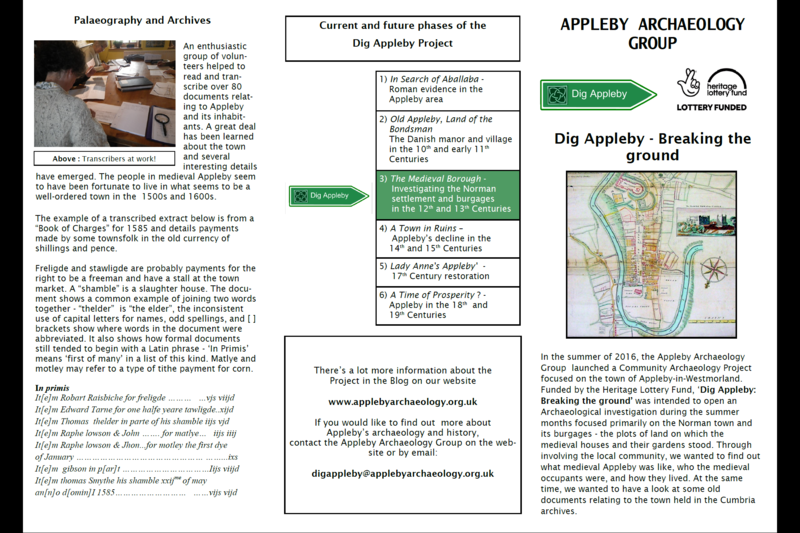 Here is a quick list of some of the archaeological events we know of this month. If you would like us to list or send round the details of others, please let us know. 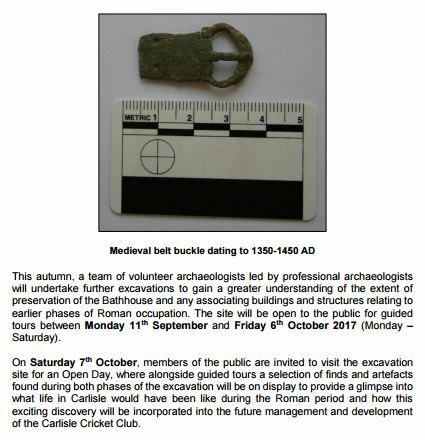 This entry was posted in E Newsletter and tagged BAS, battle, conference, Finds, Finds Liaison Officers, lecture, Portable Antiquities Scheme, re-enactment, Scotland, TillVAS on September 4, 2017 by cbanorth.